An Old World species but only rarely escaped from cultivation, as along roadsides and near old homesites. First collected in 1895 in Kent Co.
Our material is subsp. teucrium (L.) D. A. Webb [or var. 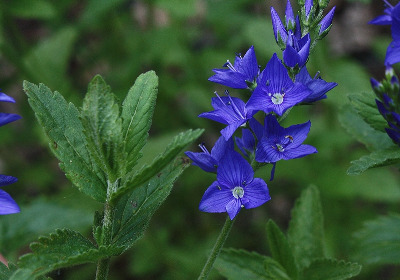 teucrium (L.) O. Bolòs & Vigo], often recognized as a distinct species and sometimes called V. latifolia L. The calyx lobes in this group are often 5, but may be 4, as in the Michigan specimens, which have the 5th sepal rudimentary at best. MICHIGAN FLORA ONLINE. A. A. Reznicek, E. G. Voss, & B. S. Walters. February 2011. University of Michigan. Web. 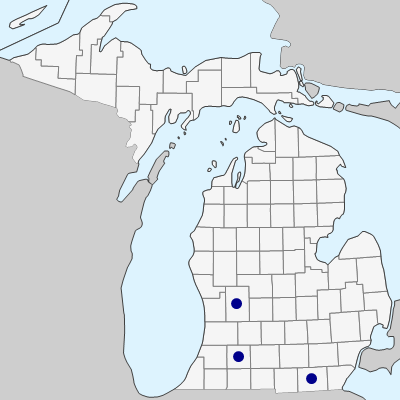 April 26, 2019. https://michiganflora.net/species.aspx?id=1973.